Click on the link for a sample activity! 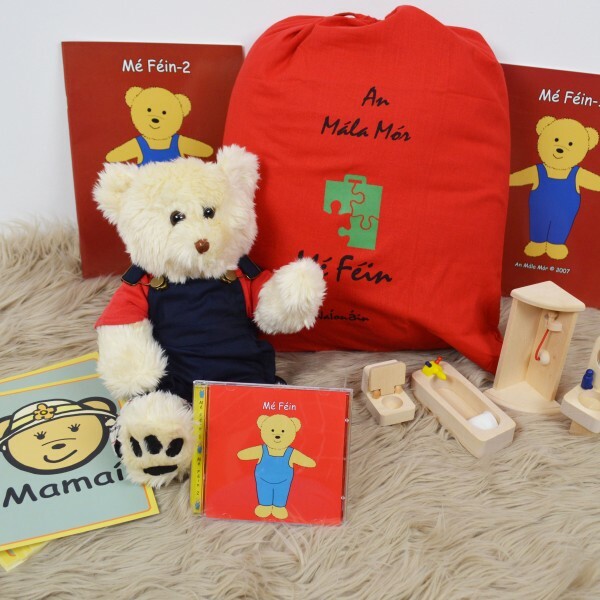 Mé Fein naíonáin packs will introduce your child to all the Irish vocabulary needed to get through the first two years of Primary school. 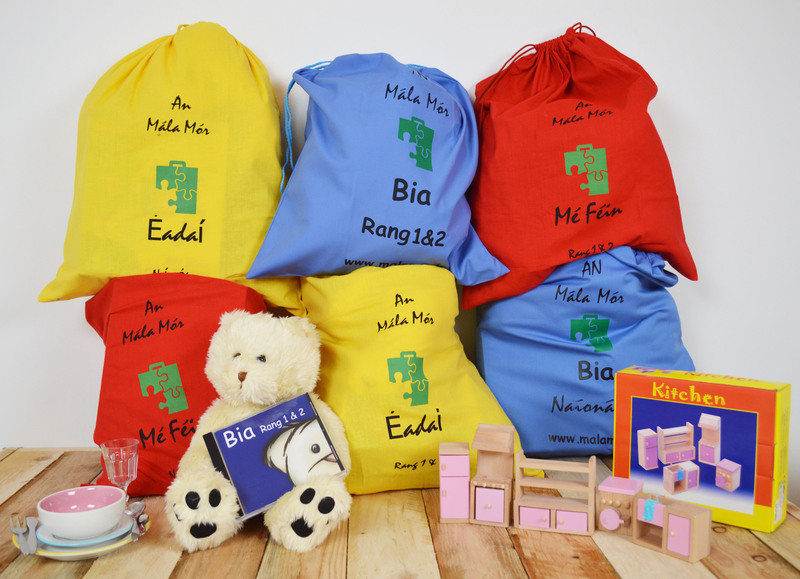 The interactive packs will stir their imagination and instill a love for the irish language. The packs ensure continuity throughout the school by revision exercises and repetition. The cd rom that is included in each of the packs will introduce children to the world of technology and assist them in learning irish and other I.T. skills in the process. C.D. Rom with a talking book and games to stimulate the young child’s mind. 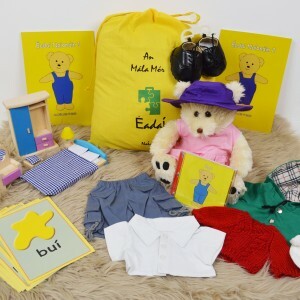 The main character ‘Teidí’, a cuddly teddy bear with a variety of clothes specifically designed and made for him. 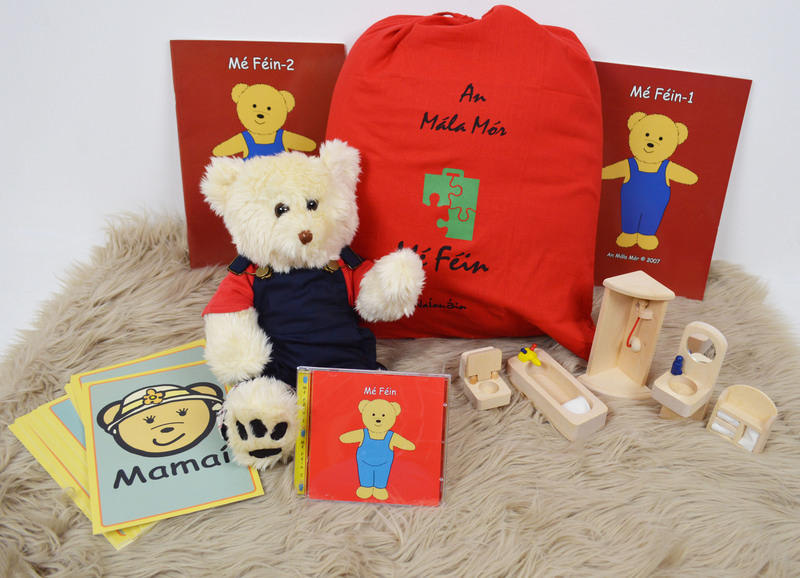 The books in the packs have been written and designed by primary school teachers. 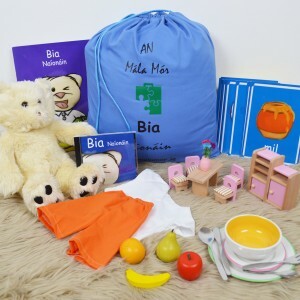 The books address verbs, prepositions and actions. The flashcards in the packs match the books and cd rom to make it an all inclusive pack. These cards are a fabulous tool I any classroom to assist with the new vocabulary introduced in the packs. 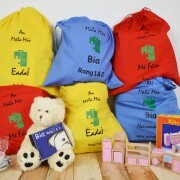 The packs also include furniture for the bear to make the packs more interactive for the children. Included in the packs are teaching tips to assist the teacher in getting the most out of this amazing resource.